We’ve seen The Cove, so we’re as sensitive as anyone to the problems of keeping dolphins in captivity. 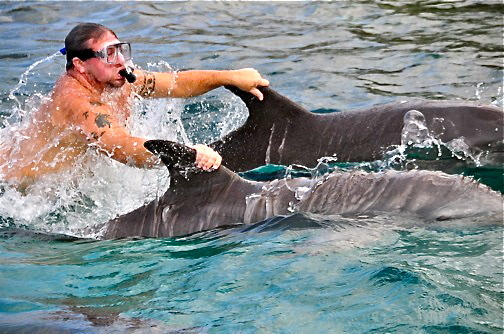 But this facility, located at the Curaçao Sea Aquarium, is one of only three in the entire world that allows visitors to swim with our fine-flippered friends in the open water, petting, playing with and riding on Bottlenose dolphins in their natural environment. It’s amazing to see these dolphins let out to roam in the open sea, only to return to the crystal blue waters they call home. Their up-close Animal Encounters give snorkelers and scuba divers an incredible opportunity to interact with dolphins and hand-feed a variety of sharks (thankfully, through a hole in a Plexiglas window), stingrays, turtles and tropical fish. It’s truly a once-in-a-lifetime underwater experience. Run by the Carmabi Foundation, St. Christoffel National Park centers around Mount Christoffel (Curaçao’s highest point at 1,292 feet), which can be reached via well-marked hiking trails. 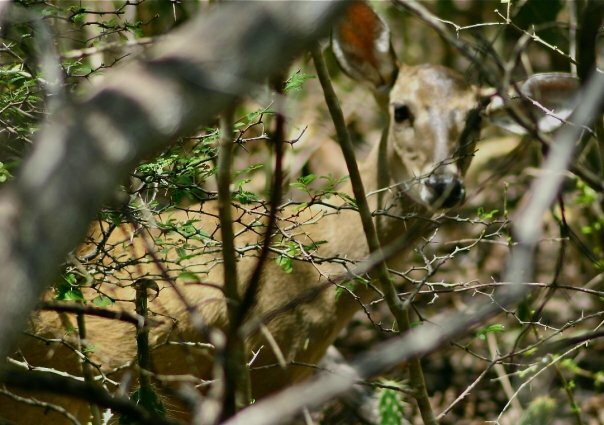 You’ll see iguanas, a variety of birds, perhaps even a rare white-tail deer, and you can find paintings from the Arawak Indians in the caves at Boca Grandi. 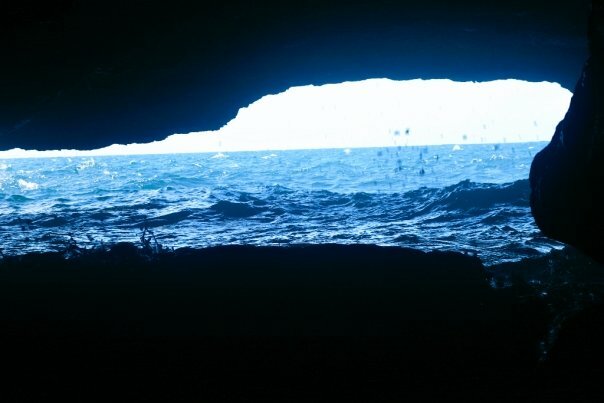 Nearby Shete Boka is home to seven caves, some of which serve as sea turtle breeding grounds. 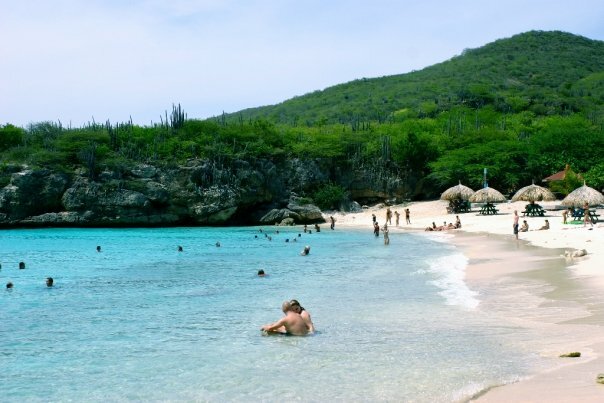 An island made up mostly of coral, parts of Curaçao look like they’re covered in lava, with an arid environment that produces more cacti than palm trees. ATVs and safari Jeeps are best for exploring its rugged back-country, with companies like Eric’s ATVs and Curaçao Actief offering tours that take you from plantation ruins and the natural jacuzzi of the Supladó crater to hidden caves and stunning vistas. 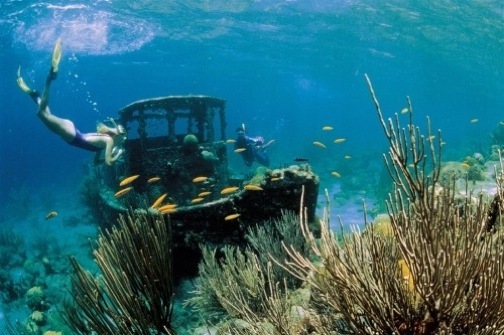 The waters off Curaçao’s coast are teeming with coral reefs that thrive with aquatic life. The Tugboat, in Caracas Bay, is the world’s most photographed dive site, featuring a 25-year-old shipwreck that attracts angelfish, parrotfish and more. The Blue Room, located in Westpunt, is a massive sea cavern that’s become a diver’s haven, offering stunning sights in eerie turquoise waters that glow like Blue Curaçao liqueur.